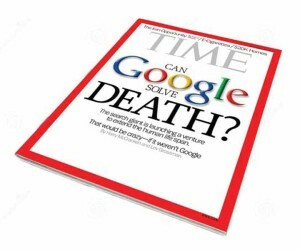 “Google Calico” and Modern Healthcare: Can Google Make Us Live Forever? You may recall some murmurings last year about a new Google venture cryptically called Calico. In the heyday of 23andMe, Apple’s many health apps and the hefty focus on technology in healthcare, Google wasn’t about to miss out on the hoopla. But just as soon as we started hearing chirps about “Google’s war on aging”, it sunk into the deep obscurity of the web. The Focus? Unraveling the secrets of aging and longevity. Not immortality per se (though, it is Google after all, so I’m not going to rule it out) but a broader spectrum approach to looking at all aspects of health, aging and what kills us. Furthermore, do we have the technology to stop it and at what price would immortality come? Calico will have some pretty solid Google-resources moving forward. Since Google has some stake in 23andMe, you can be certain the genomics will be a major focus of Calico’s investigations. Genetics too are known to play a role in disease and factors that influence longevity. Larry Page, Google’s CEO, doesn’t see Calico as Google’s “cancer cure”. In fact, in an interview with the New York Times, Page points out that even if we were to “solve cancer” we wouldn’t be tacking on that many years to the average life expectancy. Cancer’s tragic, sure, but in the grand scheme of things, it’s not as prevalent as other conditions that are just as likely to prevent us from, you know, living forever. Although Page made the official announcement regarding Calico, the project is actually being spearheaded by the guy who replaced Steve Jobs as CEO of Apple. Apple and Google, the two technological megaliths, are teaming up to work on health care? This could yield some pretty amazing results. Calico isn’t going to be huge. At least not right away. And this might be why we are no longer hearing very much about it! Google is keeping mum on how much money they’re investing, how many people they’re hiring and some estimates say that we won’t even see anything come of Calico for at least a decade. Even still, this writer wonders if the project has been abandoned all together, since there haven’t been any updates since 2013. Google as a whole is interested in “weird” stuff, so Calico might actually be focused on some less than mainstream ideas and health and technology. But this might imply that they’re “thinking forward” about issues that might crop up in the next several decades. Page said in that same interview, “In some industries, it takes 10 or 20 years to go from an idea to something being real. Healthcare is certainly one of those areas…maybe we should shoot for the things that are really, really important so 10 or 20 years from now we have those things done.” Google also is the Big Data King of the modern world, so no doubt Calico could have the potential to surpass even our most advanced electronic record databases in terms of reach. The name Calico is actually just an abbreviation for “California Life Company” — not the textile nor the kitty. There’s your trivia for the day- while the name is catchy, we’ll see if the idea behind Calico sticks. If Calico is still under wraps because Google is planning something big, they’ve picked a prime time in American history to begin: healthcare reform is making headlines and if Google wants to capitalize on the medical and insurance marketplace, now is the time to start offering alternatives. That being said, only time will tell if consumers will embrace more change. But if Google has been waiting for the ideal time to present this concept, they’ve certainly picked the right generation: we are now predominantly a very sick and very old population of potential consumers, so if Calico is looking to change the healthcare landscape, they’ll have a pool of patients ready to turn back the clock.